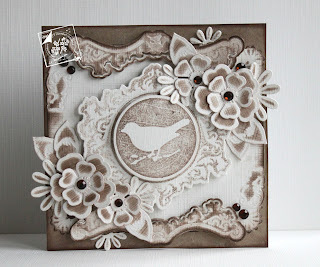 Joy Craft has a small variety of new dies out this month. Although there are not many, they are all just so pretty! 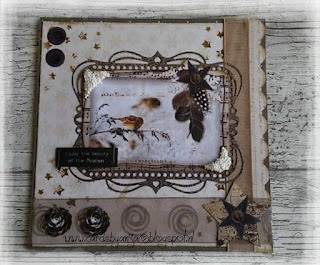 I am always on the lookout for elegant looking dies to embellish cards with, and these reasonably price dies from The Endless Background Collection definitely fit in that category. Call 574-784-9050 or e-mail: myjoansgardens@yahoo.com to place an order. This die set is part of the Endless Background Collection. center that you can emboss onto your card/layout. you can emboss into your project and an outside solid frame. 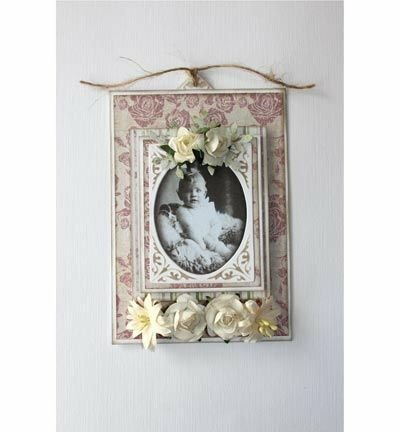 Outside Frame: 1.0" x 4.15"
perfect to add a stamped image. Includes the frame and solid circle. This die has a swirly cornered frame in a vintage style. 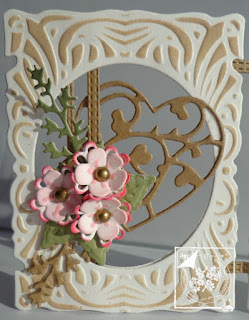 It includes the frame with an oval cutout and a solid oval. an outside swirly frame and an embellishment. perfect for those male-themed cards and layouts. 1 die that cuts out 2 sizes of VW Beetle car. Perfect for male-themed cards and layouts. Small car: 1.60" x 0.70"
Large Car: 2.30" x 0.80"